That lump in my tea is just the teabag. In case you were worried. For anyone interested in books about marriage, you don’t want to miss this one. Although, there are a few things you should be aware of before going into this book, I do think it offers a fresh look at the perceptions and complexities of a marriage. To read an excellent review about this, see Carolyn’s review at Rosemary and Reading Glasses. Fates and Furies is divided into two sections, the first being from the point of view of Lotto, the second from Mathilde. Lotto’s part takes up about 60% of the book, and in my opinion, doesn’t need to be that long. Most of it makes for good reading, but I grew impatient with reading about certain parts of his life, especially since I didn’t find him very likeable. However, in order for Mathilde’s part to make an impact on us, Lotto’s part is necessary (just maybe not quite so much of it). Be forewarned, too, that most of Lotto’s friends are despicable. You will either love to hate them, or wish that Lotto would stop having parties so that you wouldn’t have to put up with them any more. Despite the fact that Lotto was the one everyone loved, I preferred Mathilde. Her part is much more interesting and eye-opening, causing us to ask questions about the nature and purpose of marriage. Because of all the hype for this book before I read it, I was expecting something really big. However, I think that if it had been too shocking, I might not have found it as believable. Or maybe I’m just not easily shocked. Either way, this book is a fascinating study of a marriage that got me thinking about marriage in a whole new way. What are marriages built on? How do we sustain them? Is it important to reveal all and be completely open, or is it better to keep some things under wraps? Can a marriage be made even better by keeping some things quiet? How important is it for the two people to really know each other? As with most books about marriage, this is a good reminder for me of how endlessly fascinating the idea of marriage can be, since no two are ever alike. How do you define a successful marriage? Do you believe it can include secrets, or that having secrets within a marriage has the potential to make it stronger? This is my first experience reading Lauren Groff. Has anyone read her other books? As a married person I know what works best for the two of us – trust, open communication, a sense of humor, being partners and best friends, and the greatest treasure is that our love deepens for each other more and more. I’ve seen quite a bit of a buzz around this novel, so it’s interesting to see your response. It’s quite something to be able to craft a story that offers fresh perspectives and new questions on a subject as seemingly well-trodden as marriage – that’s very impressive. Good point – no two are ever alike. I cannot wait for my library copy of this to get here! I want to read this so bad! It’s still sitting on the shelf. I can’t explain why I haven’t started it except that I have some library books that need reading and sometimes the anticipation of reading a book is part of the joy of books. I totally get that. I can’t explain why I haven’t read SO many books, when really I am dying to. It’s weird. After all the reviews of this book that I’ve read, I think I am most curious now about how Lotto and Mathilde’s characters are played off each other. I don’t even care that much about “the big reveal.” I think what makes a marriage successful is unique for everyone, but what might be universal is that it takes work to keep it successful. Good point, TJ! I like that! Thanks Naomi! I also preferred Mathilde’s section–and I liked this book so much I bought Arcadia, though lord knows how long it will languish on the ever-growing TBR pile . . .
Oh yea! This was a movie starring Paul Newman and Joanne Woodward, yes? I didn’t realize it was based on 2 books. 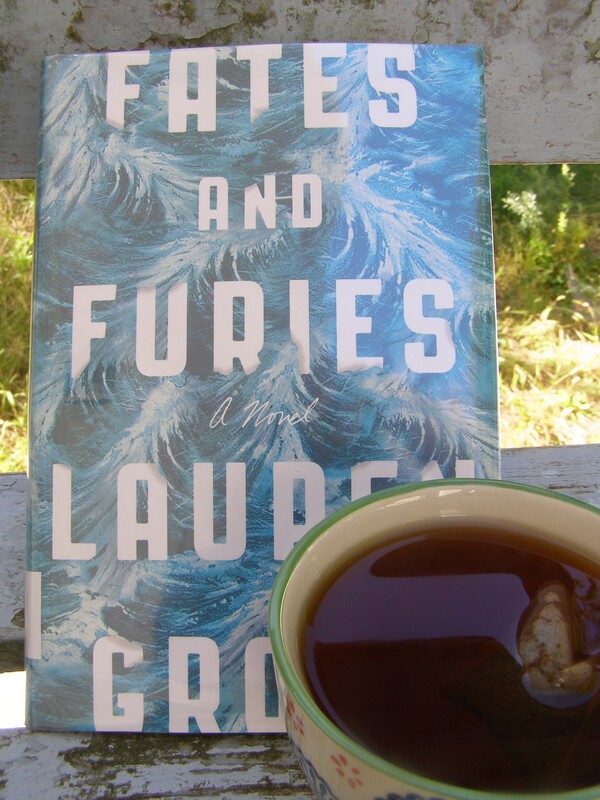 When I was reading reviews about Fates and Furies, I came across someone else recommending those books, so I have already added them to the list! They do sound good. I would never have thought by looking at this cover what this book is ‘about’. Do you have any other books about marriage to recommend? I have Wallace Stegner’s Crossing to Safety but have yet to read. Last year I read Life Drawing by Robin Black, which I really liked. And, I loved Jennifer Quist’s Love Letters of the Angels of Death. I do, too! I don’t know if it’s because I’m married, or if I would feel the same if I wasn’t. I guess it is just such a common thing and a good way to analyse/explore human interactions. Amazon keeps coming out with these coupons so I keep using them to get presents for myself 😉 Last night I went back and forth for the longest time on this one because of all the mixed reviews, but marriage is one of my favorite topics and it looks like you and Carolyn both really enjoyed it! I think I’m going to bite the bullet and get this one. I still go back and forth on how I feel about this book, but one thing is for sure, it makes you think about marriages and how they work. So, anyone who likes to read about marriages should like this book. I hope I’m right about that and that you enjoy it! I did. I’m curious – what makes you go back and forth about it? Is it the writing? I’ve heard that she is unconventional in that regard. You liked this one much better than I did. I was actually bored throughout the whole first part, then a bit more interested in the second part, but overall found it difficult to get invested in any of it… this was NOT an enjoyable reading experience for me. The whole question of absolute honesty is one on which I have a slightly different perspective now that I’m older and in a second marriage. I can see why you felt this way. The book wasn’t so much “enjoyable” as it was “interesting”. And, I also found the first section too long with parts I wasn’t interested in.